An ATV purpose-built to tackle the toughest jobs with ease. RIDE HARDER: Legendary Sportsman® performance and handling allows you to navigate the tightest corners and conquer the toughest terrain with 9.5 in. Independent Rear Suspension (IRS) wheel travel, and 11.5 in. of obstacle-dominating ground clearance to keep you and your passenger comfortable and planted on all for tires all day long. 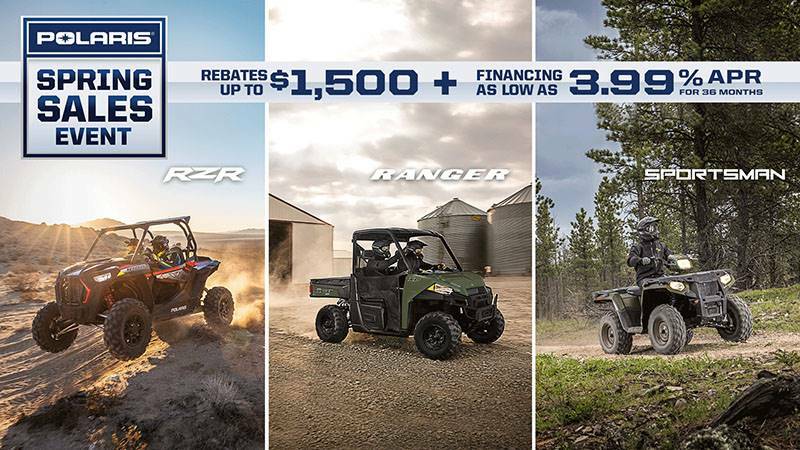 Built for battle with heavy-duty chassis, 44 HP ProStar® 570 engine with dual overhead cams and Electronic Fuel Injection (EFI) to keep you moving in any weather. DURABLE. RELIABLE. LEGENDARY TOUGH: The Sportsman 6x6 570 features 6x6 AWD for ultimate traction, the industry’s largest cargo system, an industry leading 6.75 gal. fuel tank, and an integrated passenger seat system to bring along a helping hand while you tackle the biggest jobs around your home or property. Haul more with 1,500 lb. in towing capacity plus industry-leading 1,115 lb. 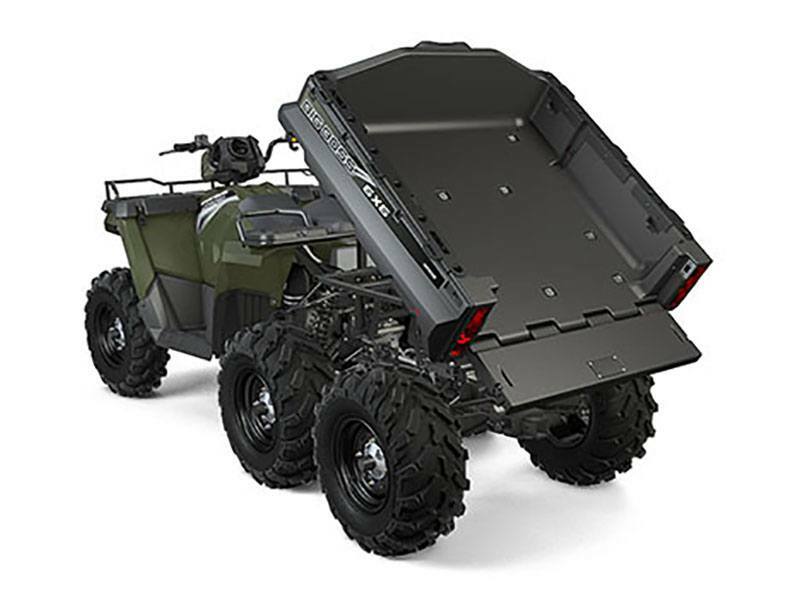 payload capacity and 800 lb. gas assist, anti-corrosive dump box. GO FURTHER: 11.25 in. 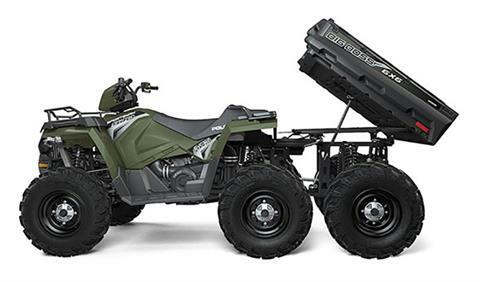 of ground clearance, purpose-built 44 hp ProStar® engine, close ratio true on-demand all wheel drive. DO MORE: Massive 1,500 lb. 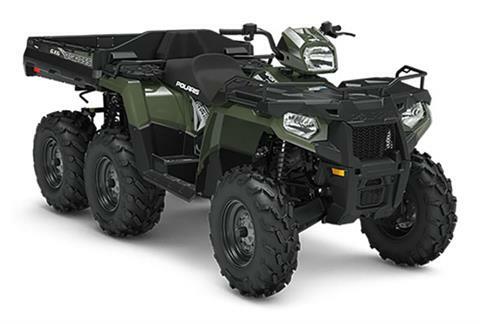 of towing capacity, industry-leading 1,115 lb. of payload capacity, 6 high-mounted box tie downs and 9 low-mounted D-rings.